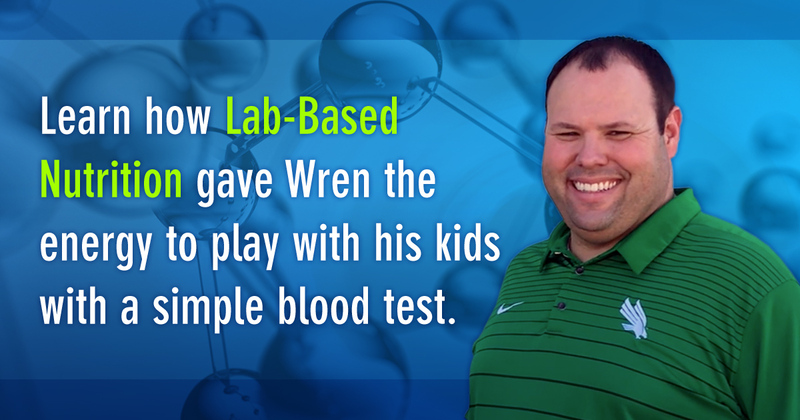 Lab-Based Nutrition Case Study: Wren B.
Wren was having a hard time recovering from stress. He had very little energy or patience for his family. 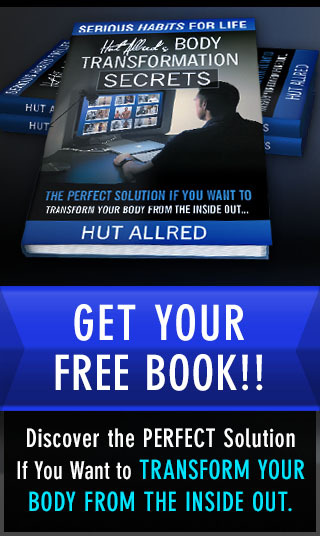 Hut: This is Hut Allred with New Wave Fitness and I’m here with Wren Baker from the University of North Texas. Wren: Hi, how are you, man? Hut: I’m doing good, buddy. Wren: I’m the Vice President and Director of Athletics. I’ve been here about a year. I’m really excited to be leading the Mean Green athletic program. Hut: I know a lot of you probably have already seen, I played ball here at North Texas. Doing with this video with Wren has been an honor. Coming back here and being a part of all of this has been great. Wren: We’re looking for eligibility. It still looks like you can play. Well, just the last year or two really, I didn’t feel nearly as energetic. Obviously, this is a fast-paced lifestyle. We travel a lot. There are a lot of donor dinners, so you don’t always eat the healthiest of meals. You don’t always get the rest you should get. Certainly, there’s a lot of stress that comes with the job. It wasn’t necessarily that I realized, “Hey, I feel awful.” I just realized I wasn’t optimal. I have a three-year-old little girl and a six-year-old little girl and they expect dad to be ready to play when he gets home. There’d be times I’d sit in the car five to 10 minutes—not a long time—but just kind of gathering myself and giving myself a little pep talk. The last thing you want to do when you go in, when you don’t see your kids a lot, is to not have the energy to engage with them. Wren: Then if you had a couple of days off, it’s almost like you’re in recovery mode and you just want to spend that lounging and trying to gather yourself back up. Hut: But you can’t with young kids. Hut: When you went through and we got your labs back and you had your call and your meeting with Dan to go over the results, what was that experience like? Wren: It tied a lot of things together. Without me telling him anything, Dan said this is your body’s natural anti-depressant. In fact, if you were put on anti-depressants, this is in it. With this being low, you may have noticed it takes you a bit to respond, rebound. Hut: Once you got that information and you had that clarity, what were your biggest obstacles implementing them? Wren: I think, honestly, it was planning the meals. We just got to where my wife and I on the weekends, like Sunday, we’ll grill chicken or pork, and we’ll put it in containers and I carry them almost like a T.V. dinner for the week. What it’s actually done is given me more time at work. I’ve done less lunches and so I’ll get home a little bit earlier, not a lot, maybe 30 or 45 minutes. Or a lot of times I’m able to get on the elliptical for a little bit or go through a workout with time I would have spent—an hour or hour and a half—normally going out to get some lunch. Hut: You’ve actually gained more quality time and you’re more efficient now; would you say that? Wren: Yes, because everybody else is gone from the office here at lunch. Hut: You can bang some stuff out. Wren: Nobody interrupts you. It’s become a quiet, private time. You can count on nobody knocking at the door. Energy wise, just overall mood, patience with my kids and my wife and that kind of stuff, totally different. I’m not somebody who over emphasizes something but it’s almost euphoric with the energy that you have. Sleep wise, much better. Father Time creeps up on all of us a little bit and as you get into the mid to late 30s and early 40s, your body is going through a lot of changes. My wife, who’s always led a healthy life, she’s going through the same thing as well. You just go through those changes. To be able to reset that and feel like you’ve turned back the clock a few years is really refreshing. I’m a couple months into it and I’m down about 20 pounds, which is great. I’ve lost a couple inches in the waist and that’s great. Honestly, that’s just a side effect for me. I feel so much better. I’m a logical person I need to be able to process and think through things so to be able to see this is how this fits together was important for me. Do you want to have improved energy and patience like Wren? Get help at www.LBNBlueprint.com.